3 1/2” Pivot tube: Heavy frame tube. Heaviest in its class. Dual gauge wheels: Gives operator better depth control. Wide & Narrow wheels available. 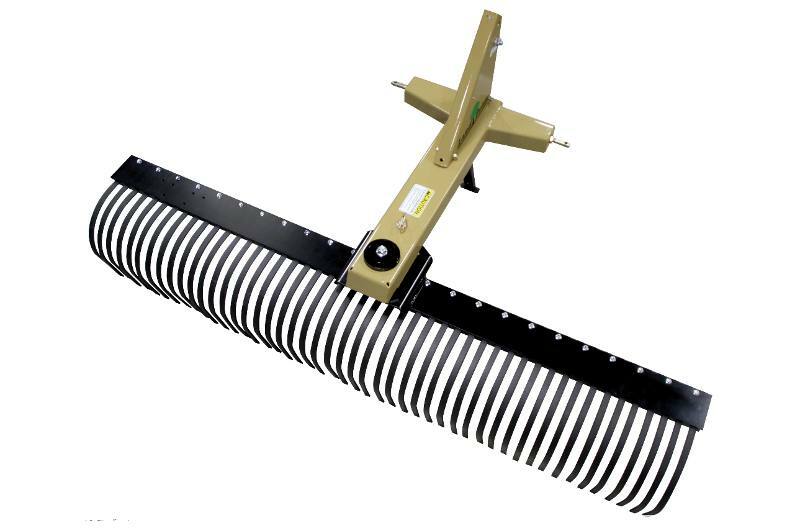 Flip-down grader blade with end plates (optional): Enables the rake to perform light blading duties for moving and leveling dirt as well as other materials. Grader blade can be flipped up when not in use. 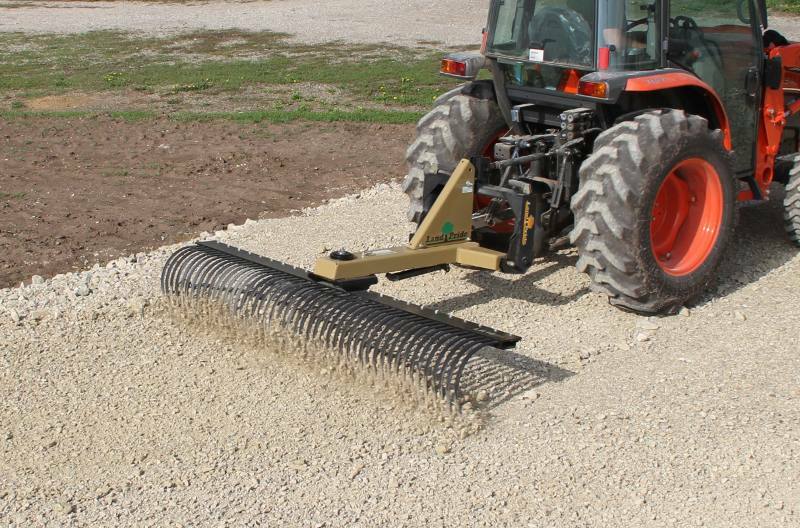 Rear Blade Attachment Accessory: The rake assembly can be removed from the main frame and a RB16 Series rear blade assembly can be attached to the frame to give the Land Pride Rake versatility. S/N 872034+ is compatible with QH05 Dual gauge wheels are capable of supporting Flip Down Grader Blade Accessory.